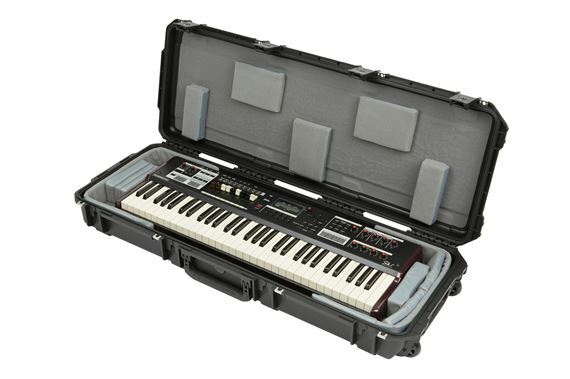 Order your SKB 3i-4214-TKBD iSeries 61-Key Narrow Keyboard Case from AMS and enjoy 0% Interest Payment Plans, Free Shipping, Free Extended Warranty & 45 Day Money Back Guarantee. The 3i-4214-TKBD can accommodate such models as the Dave Smith Prophet REV2, Electro 5D 61, Korg Kross 2-61, and Hammond SK1. Interior dimensions: 39.5" x 13.5" x 3.75". 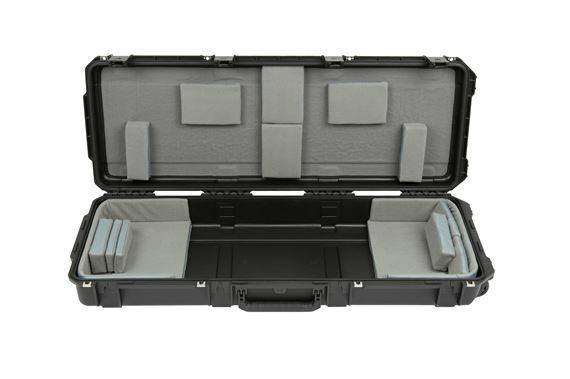 The new 3i-4214-TKBD iSeries 61-note Narrow Keyboard Case is waterproof, military grade, and features an all-new Think Tank-designed interior that's fully customizable with repositionable Velex-covered foam pads to ensure a perfect fit—even if your gear changes. I love my hard case,it really is very sturdy and strong,nice to know that my keyboard is well protected..Thanks AMS for excepting me as a client and I will for sure be ordering more products from here...Thanks again.. I need a solid case to protect my Hammond SK-1 organ and this was the perfect fit! Very lightweight case and extremely protective. I don't move my Hammond much but,I'll do so without any anxiety as before! Haha!